Glamorgan's seven home Vitality Blast group matches will again be played in a block of six weeks during the height of summer next season, with the Welsh county playing three home matches on a Friday night, as well as two on a Thursday, one on a Sunday and one on a Monday Bank Holiday. First up at Sophia Gardens on Thursday, 18th July is local rivals Somerset, before Glamorgan face Middlesex in the first of three Friday night fixtures in Cardiff. Gloucestershire play in the Welsh capital (1st August) before we have two fixtures match in three days against Essex and Surrey. We then face Sussex on Bank Holiday Monday and then finish our campaign against Hampshire at the end of August. The full 2019 fixture schedule has now been confirmed, with start times to be confirmed in due course. 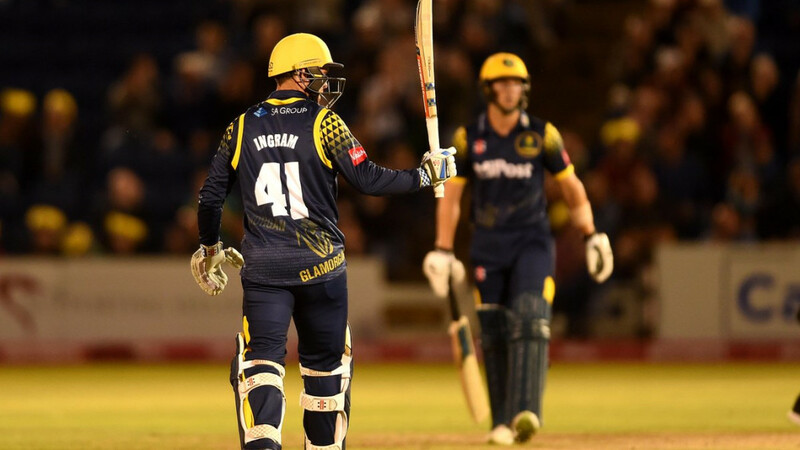 Watch Colin Ingram and his men in action in 2019 with a Vitality Blast Blast Season Ticket now available priced £60 for all 7 home games or upgrade to full membership for just £142 and see up to 39 of domestic cricket for about £4 per day of play. The membership early bird offer expires Wednesday, 5th December.